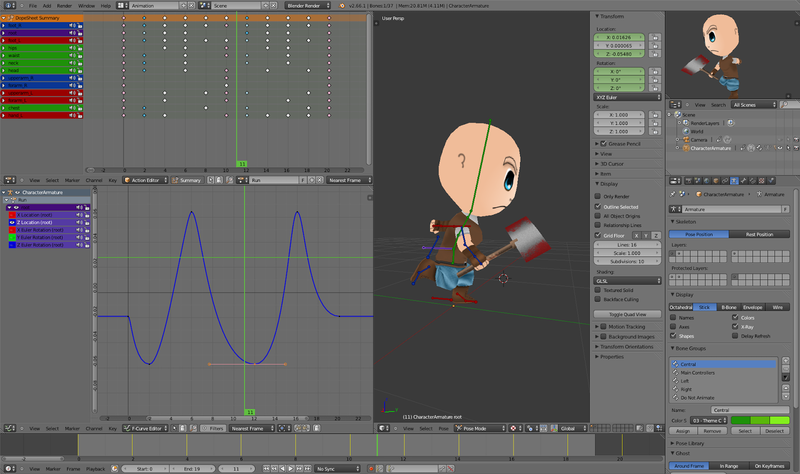 Working on animations for a game with Romulo. Model and texture by Romulo. Here is my screen setup while polishing. When I do my initial pose to pose keyframes I do use a different setup with no curve editor visible and the dopesheet at the bottom on top of the timeline.